Even though help is available for people living with hearing loss, many still try to ignore the fact that it’s happening to them. This is especially true for age-related hearing loss. “The TV is too low”, “That person was mumbling” or “It’s too loud in here” are common excuses when the actual problem is the person’s hearing. 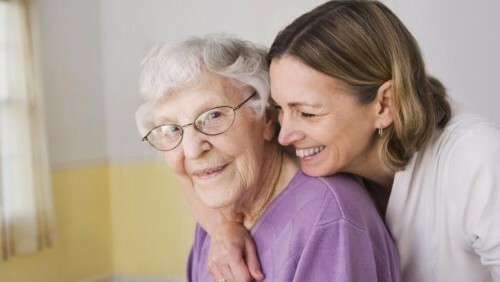 So what can you do to help a loved one who needs help with their hearing loss? Use these tips to reach out to your loved ones, and help them get the help they need. Do Your Research. Speak to an audiologist about hearing tests and hearing aids. Learn about the screening process, and approach your loved ones with all the information they need to put their minds at ease. Care For Your Own Hearing. Make sure you have an annual hearing exam. Show your loved ones that the test is a normal part of your annual healthcare, and it’s no big deal. Show Compassion. Many older people avoid the topic of their hearing loss because they are afraid they will look and feel old if they get hearing aids. Be empathetic, but remind them that without hearing aids, life is passing them by. And today’s hearing aids are smaller and more discreet than ever. Meet Success Stories. Seek out people who have had success with their hearing aids, and ask them to share their stories with your loved ones. Don’t Be An Enabler. Avoid speaking louder, repeating yourself, and relaying television and phone conversations. Instead, encourage your loved one to get help. Be there. Accompany your loved one to their first appointment. Your input will be valuable for both your loved one and for the audiologist.